An unnamed and unannounced OPPO smartphone has been spotted in the wild. Reliable and popular tipster Ishan Agarwal was quick to share the live images of the handset, which he got from an anonymous source. As stated above, its identity remains unknown at the moment, but rumours are it could either be called OPPO F11 or OPPO R19. Interestingly, this could be the second smartphone from OPPO with an elevated front camera. However, unlike the Find X, the mysterious handset has a small pop-up camera at the top edge which looks similar to the Vivo NEX device. As seen on the images, the selfie camera on the OPPO handset will retract from the center. It seems to come with an all-display fascia minus the notch, but a slight amount of bezel at the bottom. 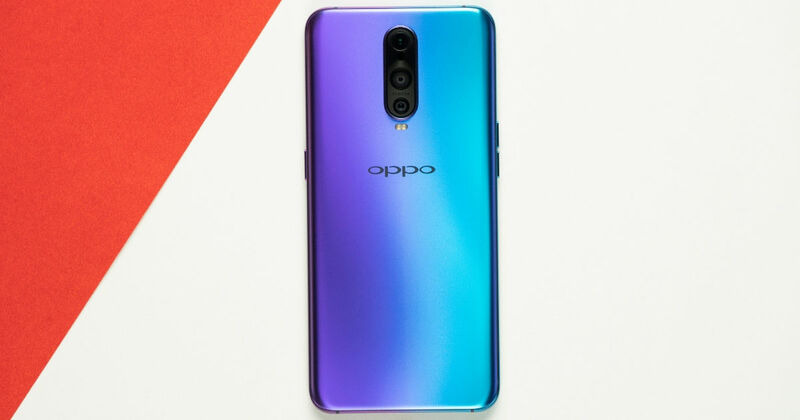 Furthermore, the device comes running Android 9 Pie with OPPO’s custom skin ColorOS 6.0 out of the box. Since the phone has a rear-mounted fingerprint sensor, it could be the upcoming F-series smartphone from OPPO as the last R-series smartphone – the OPPO R17 – had an in-display fingerprint sensor. Other details about the offering such as its specification, launch date, and availability are unknown at the moment. Meanwhile, OPPO is prepping to launch an affordable smartphone with in-display fingerprint sensor in India. It’s tipped to be OPPO K1 and is expected to launch in the first week of February 2019 in the country. In China, the phone ships with a 6.4-inch full HD+ display with 91 percent screen-to-body ratio and is powered by the Snapdragon 660 AIE processor. It comes pre-loaded with ColorOS 5.2 custom software based on Android 8.1 Oreo. The OPPO K1 comes in two RAM and storage configurations: 4GB RAM + 64GB storage and 6GB RAM + 128GB. In the camera department, the handset boasts of dual 16-megapixel + 2-megapixel sensors on the rear and a 25-megapixel selfie camera with f/2.0 aperture. Lastly, a 3,600mAh battery and Van Gogh Blue and Mocha Red colour options round off the specs sheet of the device. The OPPO K1 price starts from RMB 1,599 that roughly translates to Rs 16,300 in Indian currency.